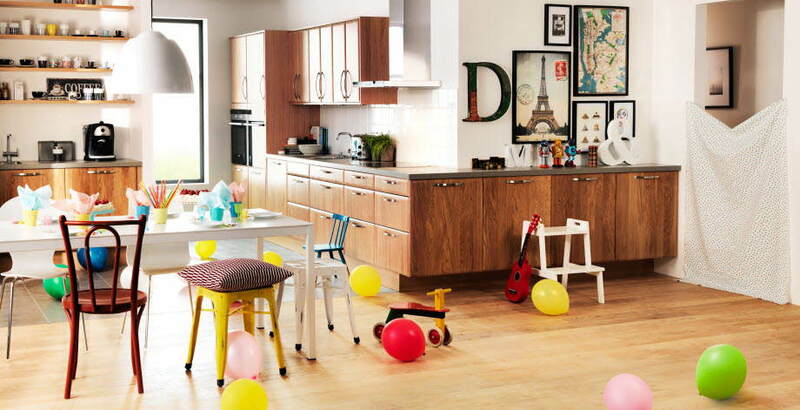 As the heart of the house, kitchen design bust be designed as beautiful as you can. 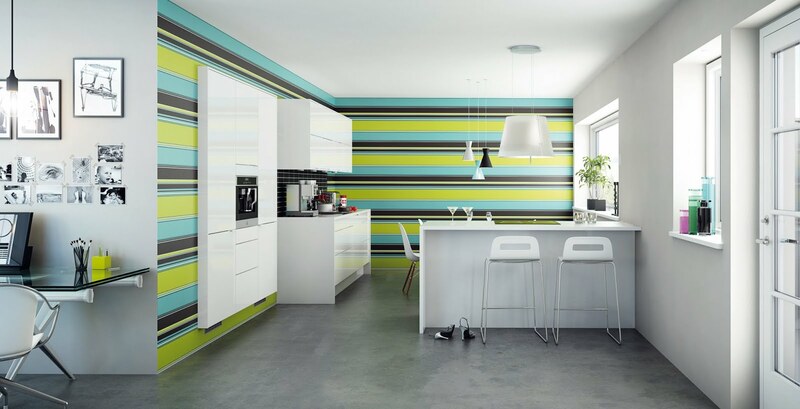 You can put every favorite colors and themes in your kitchen to make it more comfortable. 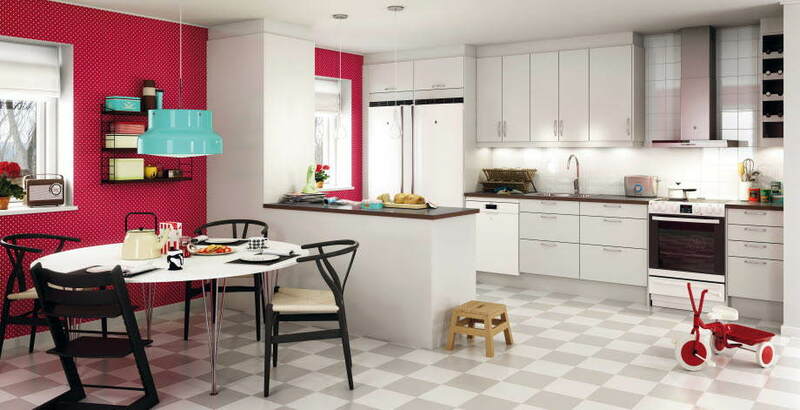 Do not forget put all necessary accommodations in your kitchen to help you in doing your activity in kitchen. 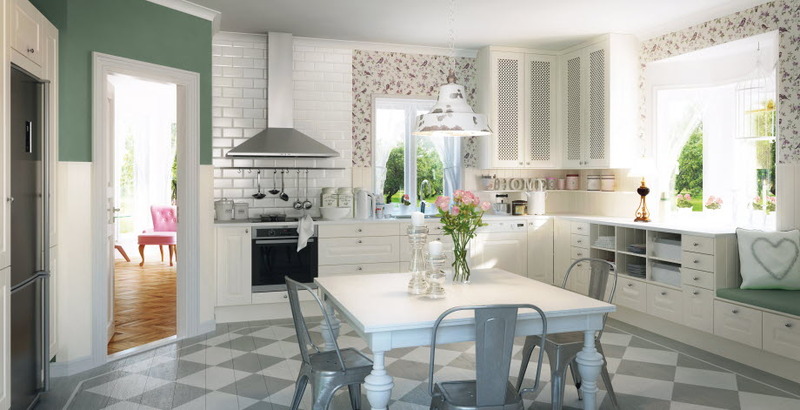 These are some pictures from Marbodal that will help you to design your own kitchen. 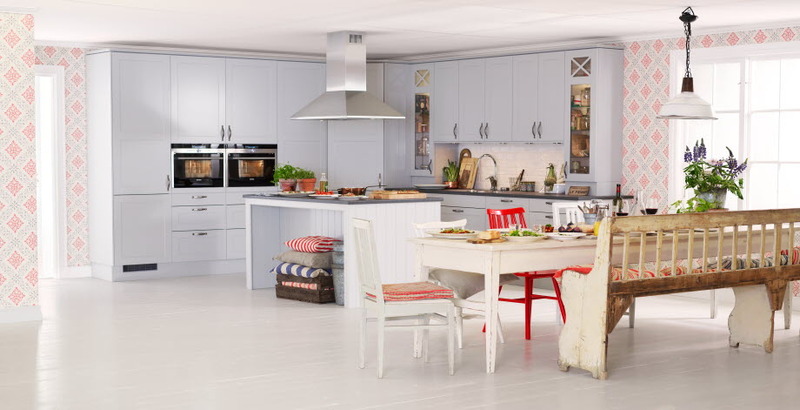 Marbodal has many kitchen ideas that are fascinating and splendid. You can find wall paper on the kitchen wall and backsplash, hanging lamp which has same ornament with the kitchen wall, kitchen with many photo frames and kitchen with windowed wall. Those are comfortable and amazing kitchen design which will help you a lot when you cook. Having a dining room in the kitchen is also fine. 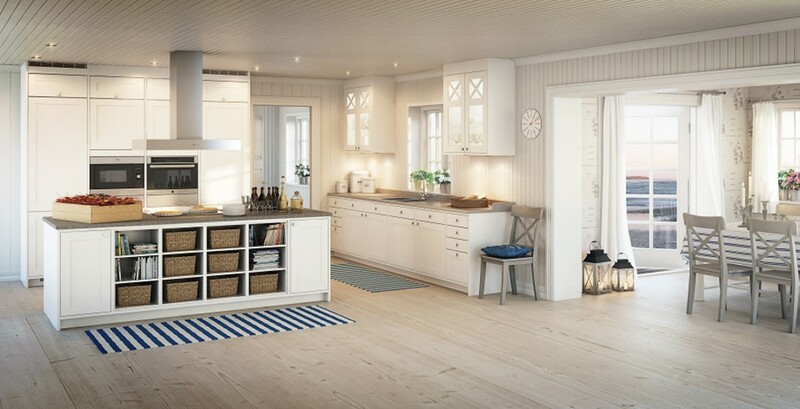 Marbodal has some pictures of dining room in kitchen which is good and comfortable. 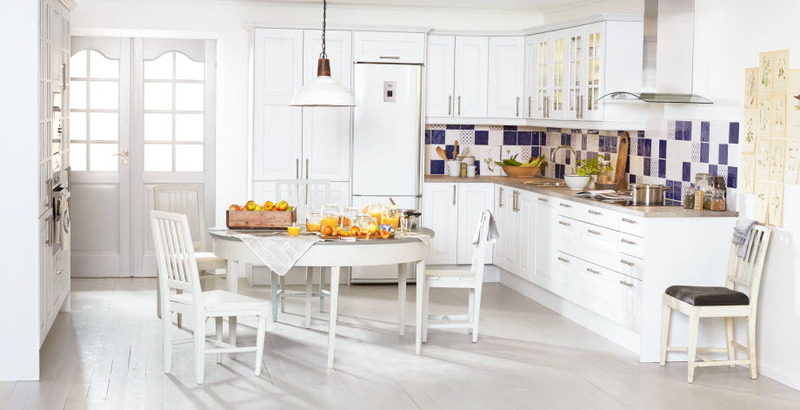 You can put small kitchen cabinet and small kitchen island which is cover the dining table and chair. The kitchen island is the separation of kitchen and other rooms. Or you can put dining table and chair without kitchen island as separation, put it in the middle of the kitchen. 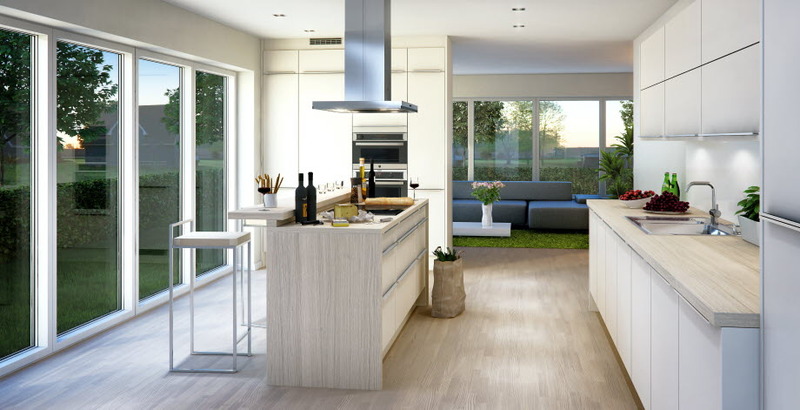 If you want a kitchen which has fresh atmosphere, you can put windowed wall around your kitchen. 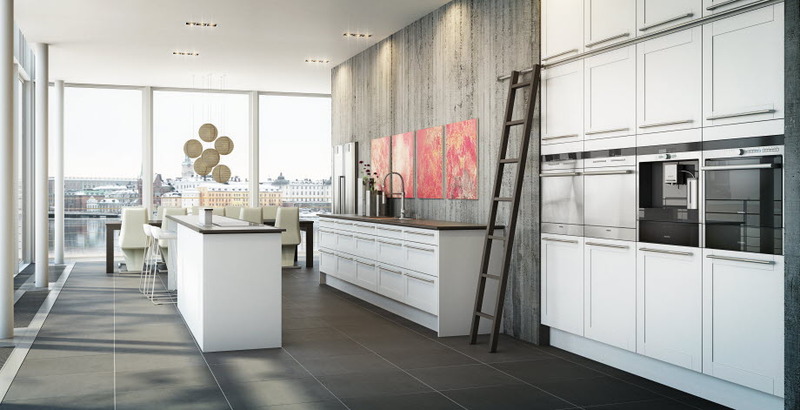 The panoramic view outside will help build your mood and kitchen atmosphere. If you want to enjoy your meal directly after cooking in the small bar on your kitchen windowed wall will be a perfect friend. You can do this idea also in your apartment.